I got a bat detector for my birthday last year and it's been brilliant for a bit of outdoor family tech fun. We recently got to go on a bat walk with experts where we got to use fancier bat detectors and learn all about bats. We had a fantastic time and managed to find lots of bats. We could even tell the difference between two different species of bat by the end of the evening. 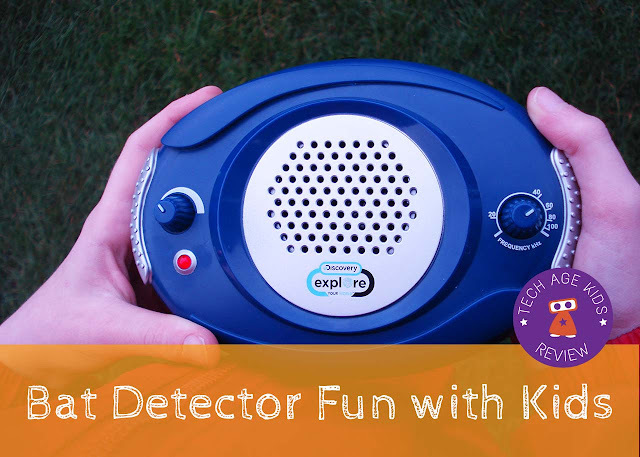 Bat detecting is a brilliant tech project that gets kids outdoors. Bats come out once it starts to get dark and they do hibernate for the winter so make sure you check out where and when you're likely to find your local bats. Although bats are associated with Halloween they will be much less active or have started hibernating by then. Note that you shouldn't handle live or dead bats (not that you're likely to get that close to them) - check out local safety guidelines first. Bats use echo for location for navigating and locating prey. The sounds they emit bounces off obstacles and they can judge distances based on the time the sound takes to bounce back. The same technique is used in lots of robots to judge the distance to an obstacle. Humans can't hear the ultrasonic sounds from bats as they are too high frequency (although kids can apparently hear some species.) That's why we need bat detectors which turn ultrasonic sound into sound that is audible to humans. We have a Discovery Channel kids bat detector which was inexpensive and worked really well, these don't seem to be available at the moment but you might get lucky and find a used one. My son was very pleased when he was the first to pick up one of the bats after the walk leader. The bat detector provided on our walk was a Magenta 5 Bat Detector. This has a light up display which shows the frequency you are currently on which is a feature our cheaper detector didn't have. 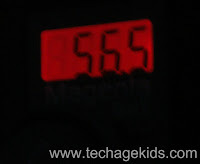 It was also louder than our detector, though ours was loud enough. Of course the proper techie way would be to make your own bat detector. There's a kit available if you fancy having a go. It involves soldering so it's suitable for kids age 14+ or parents who want to make the detector for their kids. My younger son takes his VTech Action Cam everywhere. He had the brilliant idea of recording bats sounds with his camera so that we could listen to them later. He managed to record two different species of bat and had lots of fun playing them back later. Taking photos or videos of bats would be another project to try. 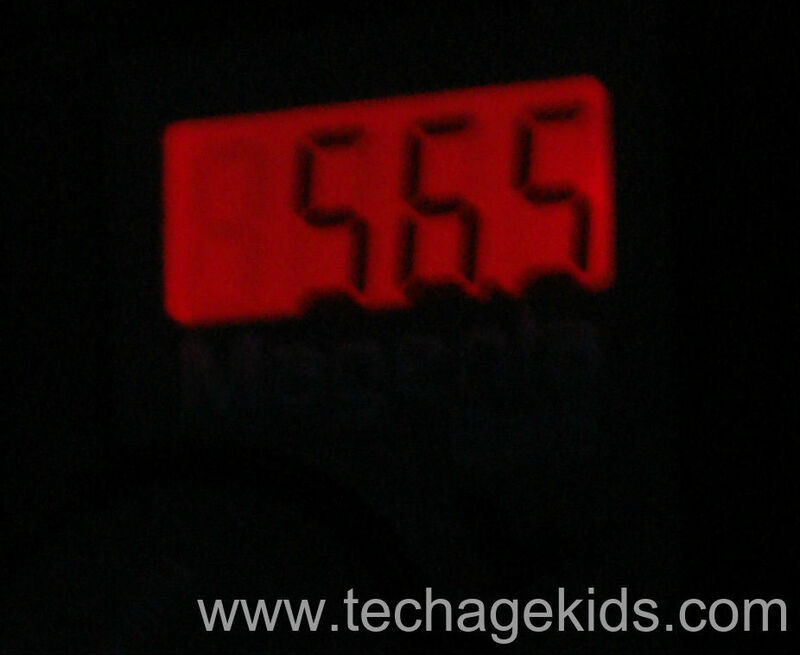 A bat detector does give you a bit of warning that they are approaching. We didn't have much luck this time as the bats were tiny and very fast! Setting up a tripod and leaving a camera recording would be worth a try. 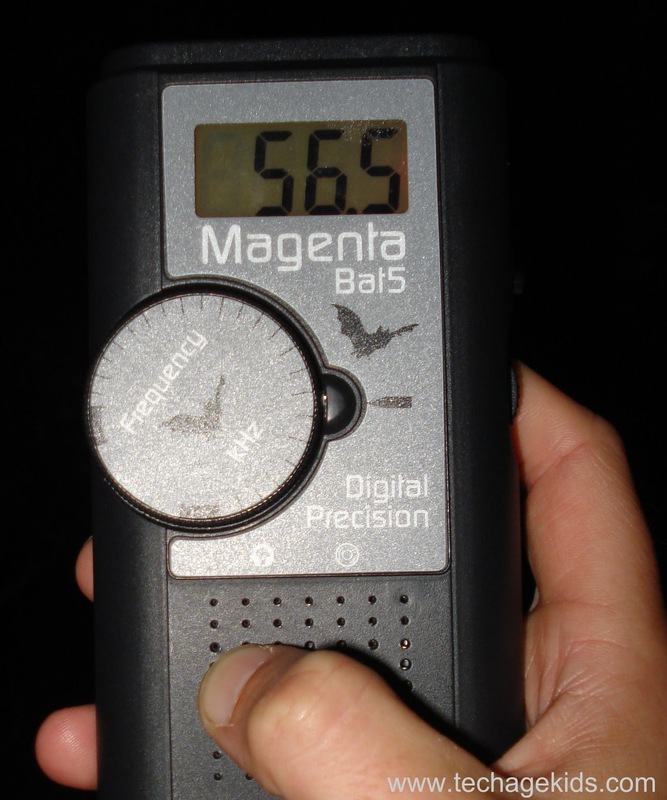 This year we've been able to combine our bat detecting with some evening Zubat detecting! 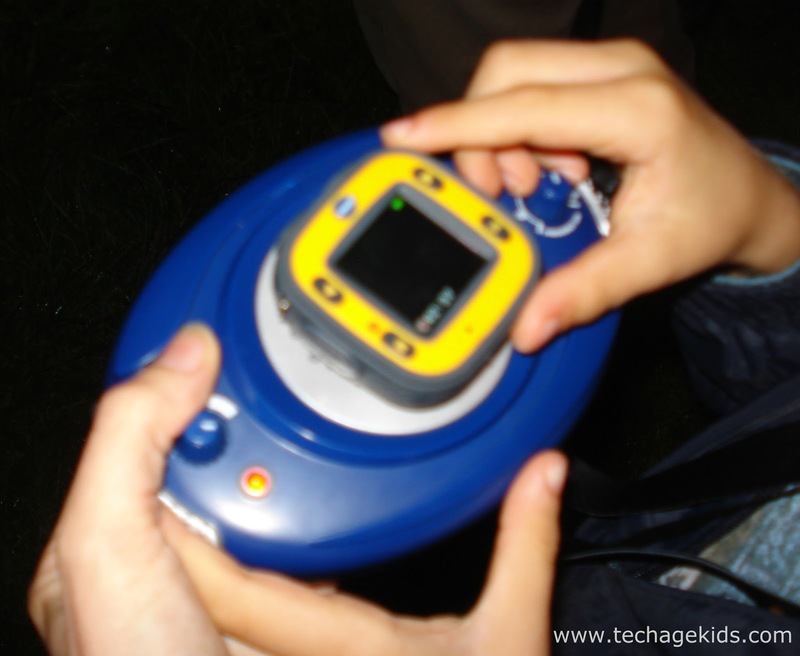 If your kids are into Pokémon Go then why not plan a late night trip with a Bat Detector and a mobile phone and catch some Zubats along with tracking real bats. Echo the Bat - free online story book from NASA. This is a fab resource for introducing children to bat science. It's an illustrated story packed with scientific information. There's also a follow-on interactive mission where kids use satellite images to track Echo the Bat. SOAR with Bats - online resources from Scholastic and the American Museum of Natural History.